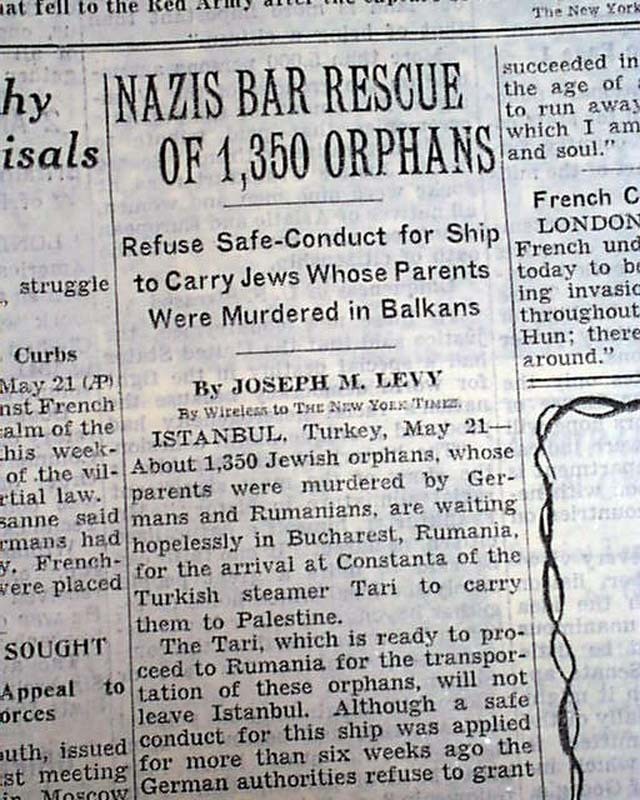 Page 5 has one column headings: "NAZIS BAR RESCUE OF 1,350 ORPHANS", "Refuse Safe-Conduct for Ship to Carry Jews Whose Parents Were Murdered in Balkans". 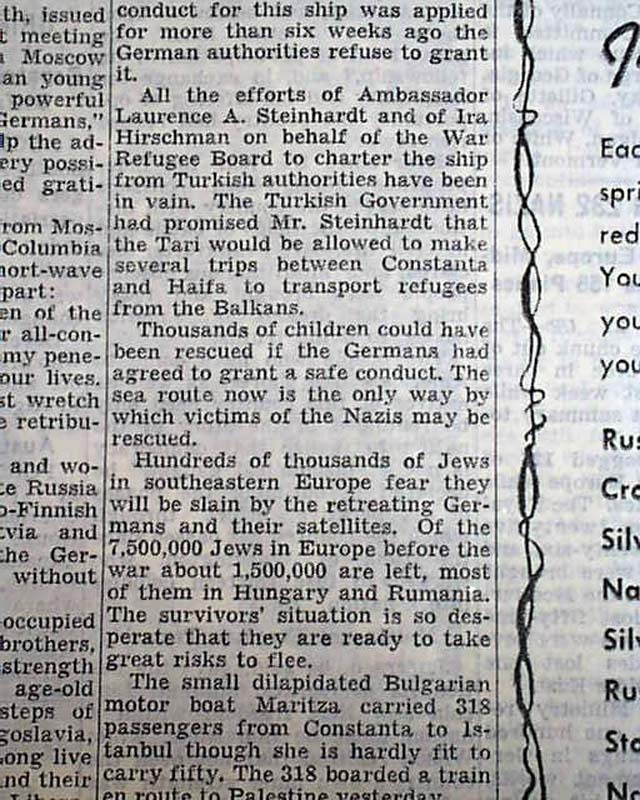 See images for coverage on the ongoing atrocities in Nazi-occupied Europe. 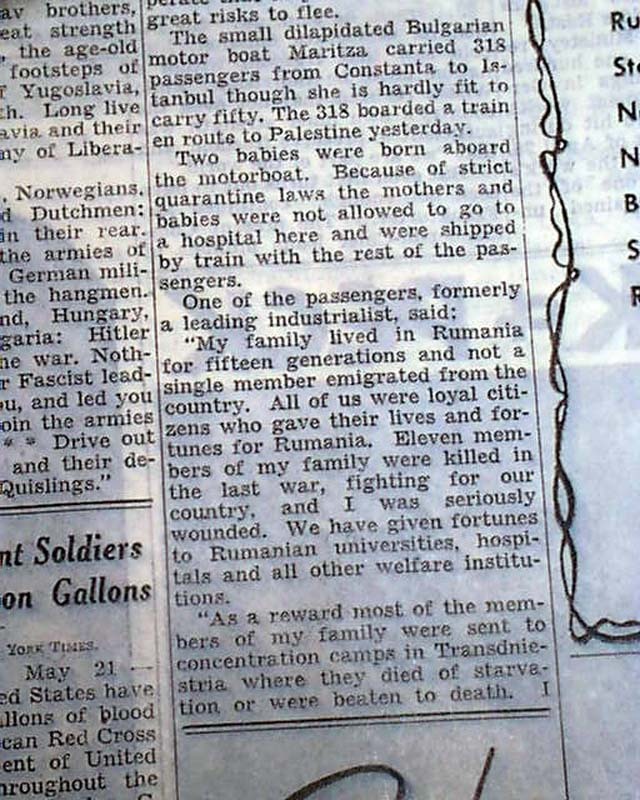 Rare to find such reports in newspapers at this time as the reality of the holocaust was just being realized. 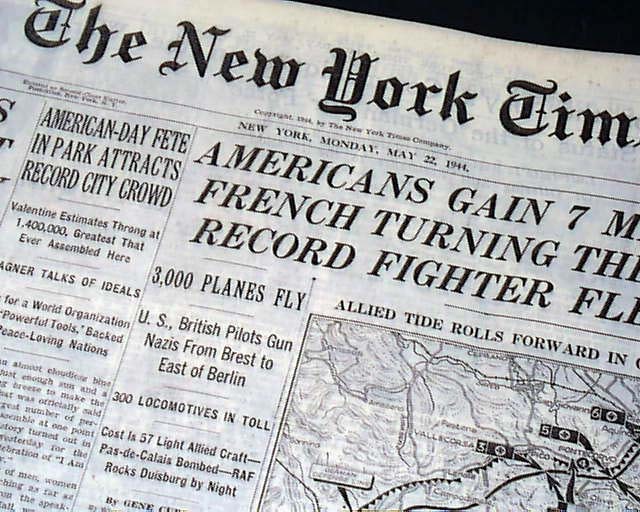 Other news, sports and and advertisements of the day throughout with much on World War II. 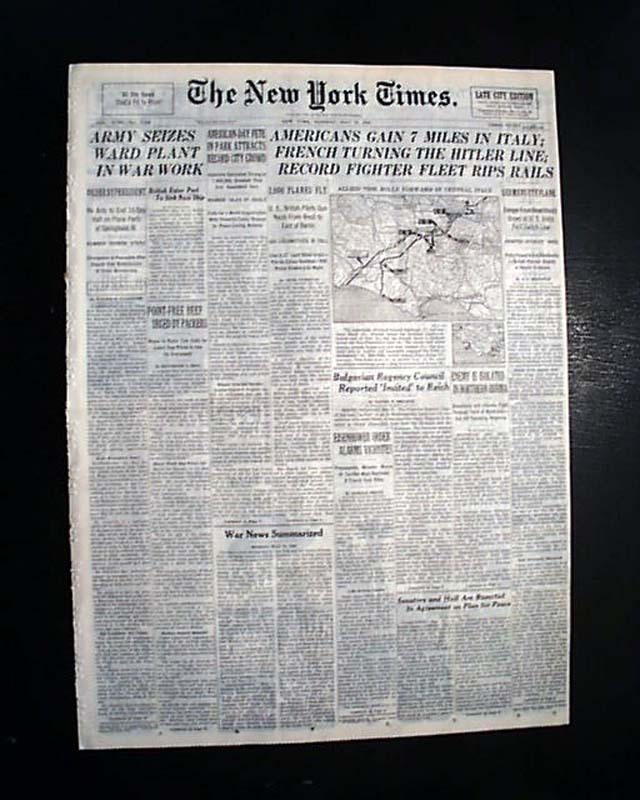 Complete with all 34 pages, this is the rare rag edition that was produced on very high quality newsprint, with a high percentage of cotton & linen content, allowing the issues to remain very white & sturdy into the present. Given the subscription cost, libraries & institutions rather than individuals were the primary subscribers of these high-quality editions. Nice condition.